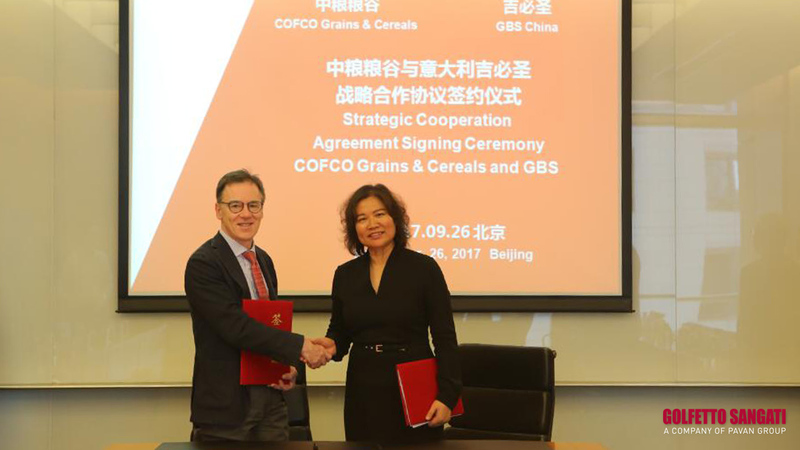 In the morning of September 26, COFCO Grains and Cereals and GBS Grain Machinery Manufacturing (Beijing) Co. Ltd. officially signed the strategic cooperation agreement. 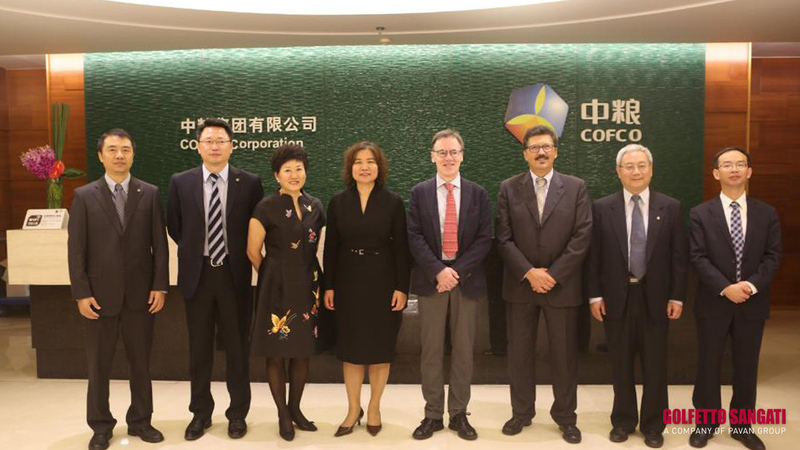 The major principals for both parties joined at a signing ceremony: Ms. Yang Hong (Deputy General Manager of COFCO), Mr. Wang Zhen (Secretary of the Party Committee Of COFCO), Mr. Claudio Zavatta (CEO of Golfetto Sangati S.r.l.and President of GBS China) and Ms. Eileen Wang (General Manager of GBS China). 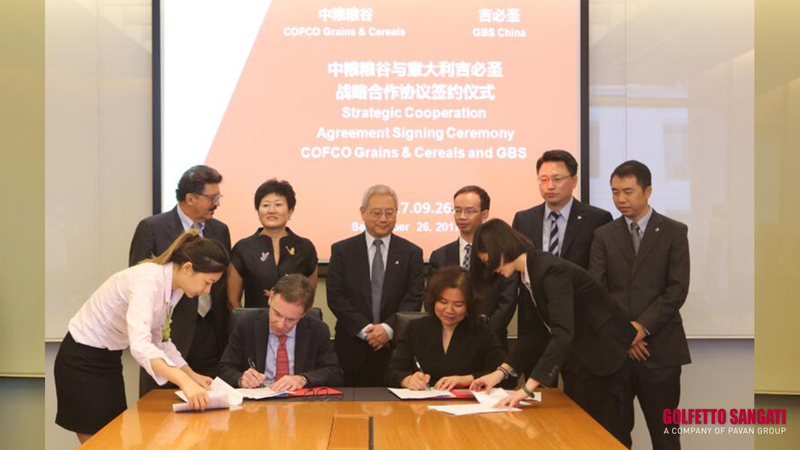 In over 2 hours of discussion in a friendly atmosphere, the both sides carried out extensive exchanges on the wheat flour processing projects in progress and both sides are interested in the food variety, rich flavor, nutritional suitable, innovative development. The both sides also talked about the future strategic cooperation and worked together toward a win-win situation, reached good consensus and preliminary intention, and made specially assigned people and working plan.